Carrots are a flavorful vegetable that nearly everyone likes. “Simply” is probably the answer when asking how to cook carrots. They need very little in the way of additional ingredients to bring out their best. A few seasonings, a little preparation and a truly exceptional side dish will be on your table in short order. After cleaning and peeling, slice carrots in diagonal ovals. Sauté along with some sliced onion in a little butter. Season it with dill weed, slivered ginger, minced garlic, salt and pepper to taste until tender crisp. 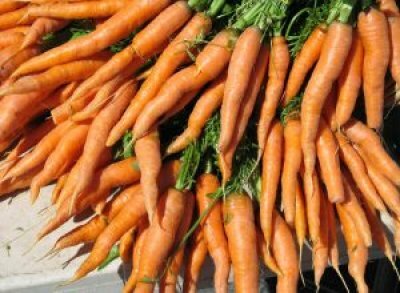 One pound of carrots should equal about 3 cups sliced. When eating fresh aromatic vegetable dishes such as this, you would want a light beverage to go with it. You don’t want to overshadow the flavors with heavy overpowering drinks. This quick and easy side dish will go well with poultry, fish or lamb. Don’t forget that carrots rank high as an antioxidant and are rich in Vitamin A.